Welcome to Aaaargh! Press, the small publisher where words come out to play. We bring you rhyme, reason and a few laughs plus the best writing from the cultural front-line. Run by professional writers and editors, Aaaargh! Press works to the highest standards to make your reading experience a pleasure whether in digital or print media. We’re kicking off with two brand new eBooks on Kindle and electronic readers, and a paperback. 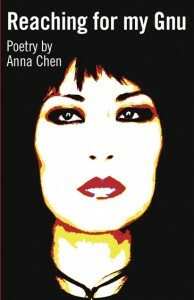 Poet, performer and broadcaster Anna Chen had her first poems published when she was 14, in an anthology from Jonathan Cape. Her first poetry collection, the “brilliant and dangerous” Reaching for my Gnu, is fresh out as both an international eBook and a gorgeous glossy paperback with additional photos. 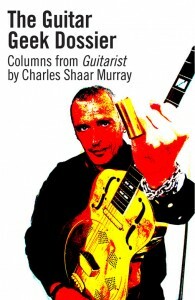 Legendary author and music journalist Charles Shaar Murray, named as “the rock journalists’ rock journalist” by Q magazine, has collected 25 of his coruscatingly witty Guitarist magazine columns in The Guitar Geek Dossier, available as an eBook. Reaching for my Gnu and The Guitar Geek Dossier eBooks are on sale through Amazon for the knock-down introductory price of only £1.99 each. This entry was posted in ebook, music, paperback, poetry, publishing and tagged Anna Chen, Charles Shaar Murray, journalism, poetry, popular culture, Reaching for my Gnu, The Guitar Geek Dossier by admin. Bookmark the permalink.